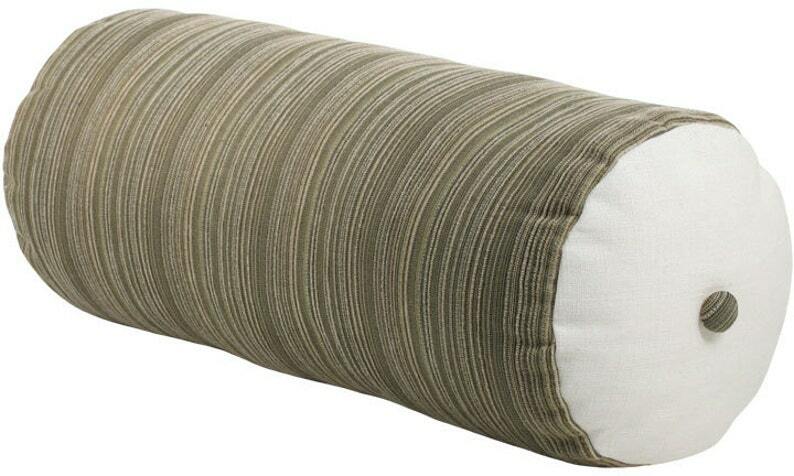 No pillow collection is truly complete without a bolster to add some curves to the group. This bolster coordinates with the other pieces in the collection and the green and gold stripes dominate. Endcaps are ivory linen. Custom fabric button embellishments complete the look.